Why Choose A Folding Saw? How Big Should My Folding Saw Be? How Much Do Folding Saws Cost? Starting with the frame, it’s incredibly lightweight at only 1lb. The entire saw measures 21.5-inches when its closed being about 2-inches thick at the largest part. Anodized aluminum is used for the frame, giving it great durability, rust-resistance, and strength that doesn’t bend or twist making it hold solid while sawing. At the grip you’ll find a glass reinforced nylon handle that is weather proof and grippy for easier sawing. One great feature about the handle is that its at the perfect angle for comfort and power when sawing. If you’ve never seen a folding saw like this before, you’re in for a treat. The BOREAL21 deploys in second without needing to touch the blade. When you deploy it, the blade automatically tensions to the perfect amount every time for easier sawing. When you’re done sawing, the blade folds up in seconds without needing to be touched. Once it’s folded, the saw blade is contained within the saw’s frame, keeping both the blade and your gear safe from damage. You may have noticed the high clearance inside the blade and frame. This geometry allows the saw to clear cut through logs up to 6-inches in diameter. If you rotate the saw around a log while cutting it, you can potentially cut logs up to 12-inches in diameter. While the hardened steel blade this saw comes with will last a long time, all blades will dull with time and use. When it comes time to replace the blade, you won’t have to worry about chasing down any expensive specialty blades. The BOREAL21 uses any standard 21-inch bow saw blade, meaning you have a lot of choice and variety as far as price and performance goes. Instead of tracking down blades for a specific model online, you can drive to the hardware store and take your pick of bow saw blades to use with your saw. Replacing the blade is easy too, taking only a flathead screwdriver and 30 seconds of your time. Agawa offers a very fair warranty on these folding saws. They warrant each tool with a limited lifetime warranty that covers defects in materials or workmanship for the frame but not the saw blade. I’ve also heard a few people say that their customer service is excellent to work with, a very refreshing phrase to hear. Overall, I think Agawa’s BOREAL21 is one of the best folding saws on the market suitable also for a backpacking trip. The powerful blade, compact size, strong frame, and ability to fold and unfold in seconds without needing to touch the blade is promising. Being able to replace the saw blade in seconds without needing any special tools is convenient. Having the option to choose any standard bow saw blade is a plus too, giving you lots of choice and freedom as to how this saw will perform. I’ve heard their customer service is excellent and very accommodating, showing signs that this company truly believes in their product. There’s many, many companies that can’t say the same without lying through their teeth. Gerber’s Freescape camp saw is a more lightweight and portable version of the BOREAL21 but sacrifices a little bit of power. If you only need a 12-inch saw blade and want to save the most space and weight possible, I’d recommend you check it out. It is a more portable and compact alternative to the BOREAL21 I wrote about above. It sacrifices a bit of power but remains a great saw that will serve you well. Like the BOREAL21, the Freescape saw quickly folds and unfolds in seconds without needing to touch the blade. The blade is contained within the handle when folded, protecting your gear and the saw blade from damage. When the saw is folded, it’s about 12-inches in length and 1 inch around at the thickest point, making it 9-inches shorter and an inch slimmer than the BOREAL21. You’ll find a super sharp and aggressive hardened steel blade that chews threw logs up to 4-inches with ease. The blade is manually tensioned with a hook near the handle. You can potentially cut logs up to 5-inches with small strokes, or up to 10-inches around if you rotate the saw while cutting. The Freescape uses any standard 12-inch bow saw blade, giving you good flexibility and freedom to choose how your saw performs. When it comes time to replace the blade, there’s no hassle chasing down model-specific blades. Simply choose any kind of 12-inch bow saw blade that suits your needs and it’ll fit this saw without a hitch. One feature I like about this saw is the hi-visibility rubber handle. Non-slip rubber helps for comfort and sawing during poor weather conditions. The hi-visibility green plastic color ensures that if you drop your saw you can spot it on the forest floor. This saw comes with a limited lifetime warranty that covers the frame. Gerber is a large and reputable company, so if you have any issues they’re likely to take care of you and not leave you stranded. Overall, I think the Gerber Freescape folding saw is a great choice for people who want a little more portability than the BOREAL21 and don’t mind having a smaller saw. Being able to use any standard bow saw blade is a big plus that keeps replacing blades hassle free. I also like the design that allows you to quickly deploy the saw in seconds and adjust the tension as you need it. It comes ready to go with you on any backing trip and can handle tough logs in your way with its sharp and aggressive blade. Bahco’s Laplander folding saw is a classic saw and a crowd favorite among campers. The Laplander is prized for its low cost, low weight, power and ability to handle tough jobs. It’s a great choice for people who want a low-cost traditional folding saw that delivers quality and has a long-standing reputation among backpackers and campers. Starting with the blade, you’ll find a sharp and aggressive 7-inch blade that chews through wood with ease. You’ll also notice the Bahco Laplander doesn’t have a frame like the other folding saws on this list. This means you’re not limited by a frame to what size logs you can cut clear through. A rust-resistant coating keeps the blade from rusting, preserving the hardened saw teeth’s edge. This coating also reduces friction when sawing, meaning less work and faster cuts. Unfolding the blade is relatively easy. The blade locks in both the open and closed positions, meaning you’ll need to release the lock inside the handle to open the blade and again to close it. I think this a great feature that prevents the blade from opening in your pack and slicing your gear, potentially ruining it. While the hardened steel blade should last a long time, all blades will dull with time and use. Looking at replacement blades for the Laplander, they cost almost as much as the saw itself. Maybe you can find a deal on them somewhere if you look hard enough, but you might just be better off buying a new saw every time your old blade wears out. The handle is solid, with an inner steel frame to keep it steady and secure when sawing. Non-slip rubber on the handle keeps your grip solid during all kinds of poor weather and muddy conditions. Even when during heavy sawing the grip stays relatively comfortable to use and holds up to a beating. One thing I see as troublesome is the color of the Laplander’s handle. 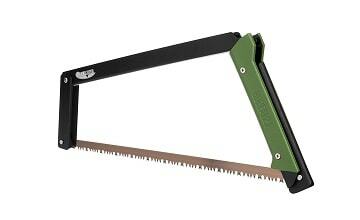 Dark green would blend into the forest floor if you were to drop this saw or set it down somewhere and forget it. I’d recommend possibly putting a piece of hi-visibility tape on it, so you can quickly locate it if you drop it somewhere. The Laplander comes with a limited lifetime warranty that covers materials and workmanship of the tool. It should be noted that the warranty doesn’t cover the blade wearing from normal use. If you’re after a field-tested and proven camping saw, the Bahco Laplander may end up being your best friend. The Laplander is a staple in many backpacker’s toolbox and for good reason. A sharp and durable 7-inch blade cuts through logs with ease and can handle anything you have the patience to saw through. Whether it’s sawing wood for the campfire or clearing trees from a trail, the Laplander will be ready to help. Unlike the framed folding saws, there’s little limiting what size logs you can saw with this tool. At only 0.9lbs and roughly 7-inches long when closed, you’re getting an incredible amount of power in a small package. I don’t like how expensive the replacement blades are, and for the price you may as well just buy another saw. But if you want one of the best ultralight folding saws that is powerful, portable, and budget friendly, I recommend you check out the Bahco Laplander. If you’re looking for one of the best folding saws for the money and the Bahco Laplander doesn’t fit your fancy, consider checking out Corona’s RazorTOOTH 10-inch folding saw instead. One of the best features about this saw is its super sharp saw blade that chews through trees and logs like butter. The curved blade shape makes pulls and pushes cut more wood without requiring more effort on your part. 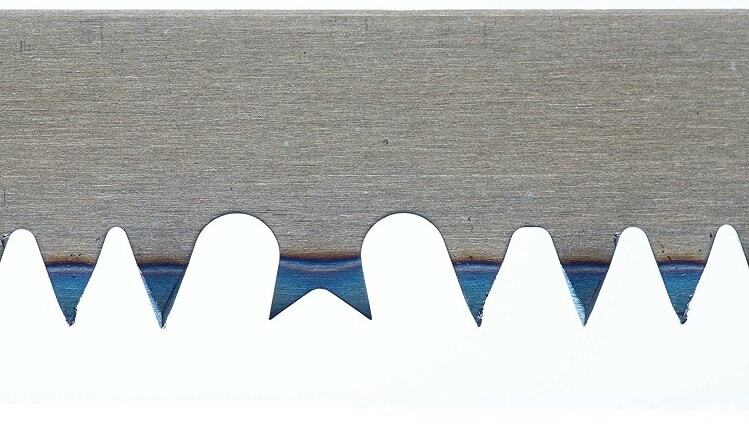 Sharpness comes from this saw’s triple sided razor-sharp teeth that have been impulse hardened for a harder edge that lasts longer. You’ll find a chrome plated coating on the exterior of the blade, giving it great rust resistance while also reducing the friction of sawing. This means your saw will spend less time stuck in wood and more time moving onto the next log in your sights. 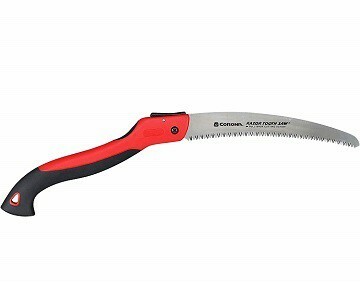 Another part I like about this saw is the red nylon handle and its ergonomic shape. Gripping it in your hand gives you a great power position to quickly saw without any hand strain or awkward wrist positioning. Gripping the saw is also made easier by the non-slip rubber on the exterior of the handle. 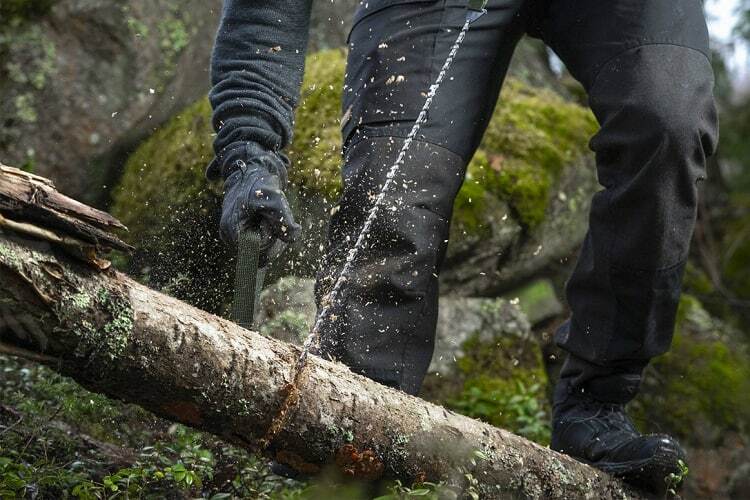 Non-slip rubber helps you keep a good grip on this saw even during wet and nasty conditions. Even though the handle rubber is black like the Laplander’s, the bright red handle and chrome blade makes this saw easy to spot on the ground in case you drop it or happen to misplace it. I can honestly say you’re a lot less likely to lose this saw compared to the Laplander because of its hi-viz color scheme. Also, like the Laplander, this saw has a lever-operated locking system that securely locks this saw in both the open and closed positions. Some prefer saws that lock closed for the peace of mind safety they offer knowing the blade won’t come open on you in your hand or in your pack. Others dislike the design since they’re more cumbersome to open. Personally, I prefer saws that lock closed since I wouldn’t want any of the gear in my backpack to get shredded up in case the saw accidently opens. Speaking of backpacks, this saw easily fits into a backpack or truck toolbox without hogging too much room or weight. It sports a total length of 12-inch long when closed and weighs only 0.8lbs. 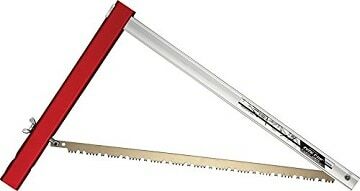 It’s a compact package, especially when compared to hatchets that would be at least 2-inches longer at the minimum, weigh a pound more, and still not have as much power as this folding saw. Corona warranties these folding saws with a limited lifetime warranty that covers materials quality and workmanship, but not normal wear and tear of the blade. Overall, the Corona RazorTOOTH is an easy to use, well-priced saw that can blast clear through 6-inch diameter logs without any issues. The hardened super sharp saw blade should last you for lots of work whether its done in your yard, along the trails or out in the middle of the bush. I especially like the chrome coating that prevents rust and helps keep the saw from getting stuck while sawing. Unfortunately, all blades dull with time and use however, and no blade can last forever. If you’re wanting to replace the blades of the Corona RazorTOOTH, you may be better off just buying an entirely new saw. Everywhere I’ve looked, the blades have cost just as much as the saw itself, if not more. The Corona RazorTOOTH is a great folding saw that’s perfect for making firewood while backpacking or clearing branches and trees whether you’re in your yard or along the trails. It’ll easily fit in your pack without weighing you down or taking up too much space. If you’re wanting a unique folding saw that packs a big punch in a small package, look to the Sven 21” folding saw. It’s got a razor-sharp hardened steel blade that can saw through wood like butter and quickly packs away into a slim and skinny package. If you’re after a serious folding saw that cuts through wood like a hot knife through butter,check out the Sven folding saw. It’s got a tempered steel bow saw blade with razor sharp teeth that chew through wood for breakfast while keeping their edge great over time. You’ll find it’s very handy for tough jobs and it works even better when you get down and dirty with two hands on the saw. While the saw blade can last a long time, eventually it will need to be replaced. When it’s time to replace the saw blade, you can just use any old saw blade like with the BOREAL21. Sven sells their own special bow saw blades with a threaded bolt neck attached to one end of the saw. This allows the wingnut to grab on to the side to secure and tension the saw blade. Speaking of the wingnut, it’s an integral part to how the saw operates. When the saw is in the folded position, the blade is housed inside the aluminum frame with the wingnut securing it at the end. To unfold the saw, you must remove the wingnut, bring out the saw blade, pass the bolt through the frame and tighten the wingnut to secure and tension the blade. When screwing in the wingnut in the unfolded position, you increase the tension for your blade. This gives you great choice when sizing up the log you’re going to saw and gives you the most precision when sawing. Now I must say, there is a possibility that you could lose the wingnut. While it probably won’t be the end of the world, the saw will be useless until you can source another 5/16 inch-18 thread wing nut from your garage or a hardware store. Another downside of the wingnut is that it will score the aluminum frame when you’re tightening it down. If you keep a washer with your saw and wingnut, you can prevent this cosmetic damage. Simply keep the washer beneath the tightened wingnut and hope you never drop it along the ground somewhere. Despite the small cosmetic damage caused by the wingnut gouging the aluminum, the frame is very strong and great for tough jobs. Anodized aluminum can take a beating without the heavy weight that comes with steel. The result is quite a light saw, weighing in at only 1lb overall. Making this saw even more portable than the 1lb weight already is the small space this saw takes up when folded. Its dimensions measure 23” x 1-1/2”, making it quite the small and slim package that can easily fit into a truck toolbox or camping backpack. Overall, I think the Sven 21 has a very neat design that should catch the eye of people who like the simplicity of mechanics and raw power tools. Speaking of raw power, this saw will have no problem blasting through tough grained logs or thick branches measuring up to 7-inches in diameter. The tough yet lightweight aluminum frame is well suited to handle the raw power and can even be two-handed for more muscle when sawing logs. I find the wingnut design a bit worrying, especially since you could drop it in the woods and render your saw completely useless. I’d reckon at least a few people have dropped their wingnuts and been forced to find an alternative method of getting firewood for their campfires. Rest assured however, once you get back to your garage or find a hardware store, you can easily replace it with any 5/16 inch-18 thread wing nut. If you’re looking for one of the best folding saws and want a great quality Swedish tool and don’t mind looking after the wingnut, this saw offers great power that will cut through anything in your way. Want to know more about the best folding saws? You’ve come to the right place. I’ve already done all the legwork for you and handpicked the folding saws you’re looking for. Why folding saws are better than hatchets and axes? How big should your folding saw be? So, stick around, it’ll be worth your time. If you’re short on time, check out this table at the beginning of the article . There are many reasons to choose a foldingsaw over a more conventional tool such as a backpacking hatchet/axe. The primary reason is that they weigh less but can get a whole lot more work done. Take Agawa’s backpacking saw for example. This monster of a saw can clear cut through trees, logs, and branches up to 6-inches thick with relative ease. You simply can’t cut wood with an axe as fast as with a good folding saw. Plus, carrying around an axe powerful enough to compete with a folding saw will mean carrying around a significantly heavier tool. One indirect benefit of a folding saw is the calories saved from work too. You’ll use much less effort sawing through a branch than chopping through it with an axe, saving you precious calories and energy that you need when backpacking. This comes in handy when you’re already burning calories like crazy when backpacking, especially if you’re using your saw in the winter. When choosing folding saw, aim for a tool that is no heavier than 2 lbs. This shouldn’t be too hard of a task, as most folding saws weigh around 1lb or less. Folding saws also take up very little in terms of volume too. Most saws will take up no more than 24 cubic inches of space. Compare that to even small hatchets which take up many times that size and you’ll see that folding saw really take up a minute amount of pack space. When choosing blade size for your needs, you’ll have to use your own best judgment. I’d recommend a 7-inch blade at the minimum, like what the Bahco Laplander has. Any smaller of a blade and you’re really missing out on power while gaining little in terms of saving pack space and weight. If you’re expecting lots of heavy work and want to be prepared without sacrificing pack space, you can choose a saw like the Gerber Freescape with a 12-inch bow saw blade or the BOREAL21 with a 21-inch bow saw blade. 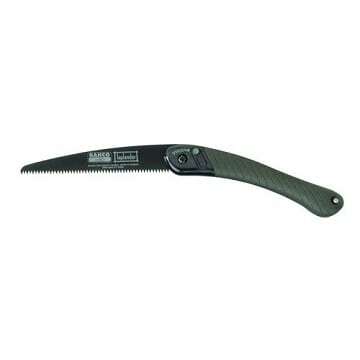 You can pick up a good folding saw for a relatively inexpensive price. For budget backpackers, you’ll want to choose the time-tested and proven Bahco Laplander folding saw. It can hold its own against many tough jobs without breaking the bank. Replacement blades cost nearly as much as the saw itself, but the hardened steel blades last a super long time. Depending on the price you find them at, it may just be worth your while to buy a new saw once the old one wears out. If you want more power out of your tool for sawing larger trees, the BOREAL21 is a tool I’d recommend to you. It costs a bit more than the Laplander but offers significantly more power while only weighing a few ounces more. 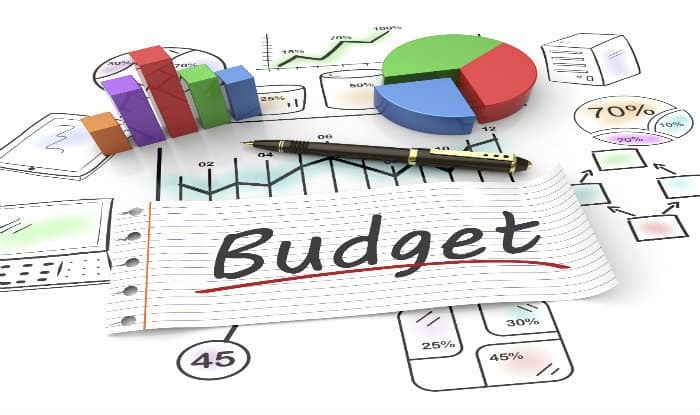 One benefit of the BOREAL21 is the potential long-term savings it offers. Instead of needing to buy special replacement blades, you can choose to replace its blade with any standard 21-inch bow saw blade. This means no worrying about expensive blades or needing to track down special replacement blades online. Choose any dry-wood bow saw blade that fits your fancy and your saw will be ready to take on your next camping trip.